Welcome to Studios on the Park, a nonprofit open studios art center in the heart of historic downtown Paso Robles! We have six studios with 15 working artists, four galleries and a fine craft and fine art gift store. 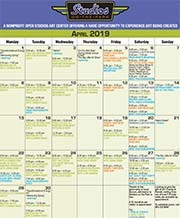 Make art a part of your life by witnessing the creative process in action, enrolling in a class or workshop, viewing quality themed exhibitions, or volunteering your time and talents to bring art to others in our community! Join Ynana Rose & friends at Studios on the Park in Paso Robles Saturday April 6, from 6-9 p.m., to celebrate Art After Dark Paso. The event is free to attend. Ynana will be playing an Americana mix of folk, country, blues & jazz, including songs from her recent album Tea Leaf Confessions. She’ll be joined by Dorian Michael on guitar & Paul Griffith on drums. 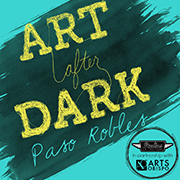 Studios on the Park celebrates Art After Dark Paso, a fun tradition of art, wine & live music filled evenings at the start of every month. Located at 1130 Pine St, in Paso Robles. For more information call (805) 238-9800. Somewhere between selling 6,000 comic books a month as a high school student, and producing the mega-hit The Walking Dead, David Alpert has learned a thing or two about “Taking the Weird and Making it Great.” And he shared those lessons at a tell-all evening of the same title during a recent visit to San Luis Obispo County. The event was the first in a series of Creative Chats at Studios on the Park in Paso Robles.